With time running out on his first 100 days in office and no success yet on the Obamacare repeal he promised, President Trump seems eager to turn attention to one of his favorite topics: Tax cuts. On Twitter this weekend, he promised "Big TAX REFORM AND TAX REDUCTION will be announced next Wednesday." Of course, big tax cuts can create big deficits unless other measures are taken to offset the revenue loss. This apparently will not be a problem with Trump's plan. 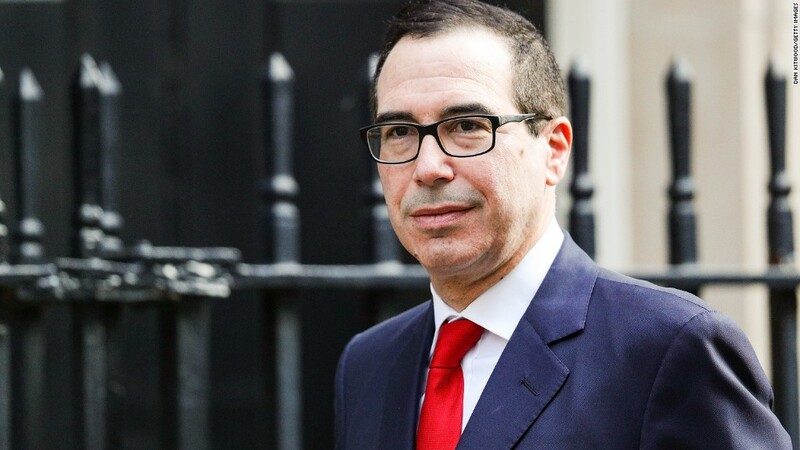 "The tax plan will pay for itself with economic growth," Treasury Secretary Steven Mnuchin said during a White House press briefing Monday. Mnuchin noted that the administration's goal is to achieve "sustained growth of 3% or higher" through its mix of economic and tax policies. The White House will rely on what policy wonks call "dynamic scoring" to deliver the good news. A score is an analysis of a proposal's budgetary cost and how it would affect different income groups. How much revenue will it bring in? Who benefits the most? And, in the case of dynamic scoring, how much will it boost, or hurt, economic growth? Dynamic scoring assumes tax cuts generate growth. And that growth, in turn, will generate more revenue. Conventional scoring, by contrast, assumes people's behavior changes in response to tax cuts but doesn't factor in how that change affects the size of the economy, explained Mark Mazur, director of the Tax Policy Center. But the White House may be disappointed when third-party experts analyze Trump's proposal. That's because they're likely to conclude it will add to the nation's debt unless there are other revenue raising measures in the plan. No one disagrees with the Trump administration's basic premise that tax cuts can stimulate growth. But they will disagree about how much growth will result, and therefore how much of the plan's revenue loss will be offset. "This idea that [Trump's plan] can be paid for even mostly by growth doesn't equate with any economic analysis or theory. [It's] fantasy math," said Marc Goldwein, senior policy director of the Committee for a Responsible Federal Budget. Putting a finer point on it, "if they want to assume 3% to 4% growth, the plan may pay for itself on paper. But it won't pay for itself in reality," Goldwein said. Of course, Goldwein isn't the official fiscal scorekeeper for the bills Congress votes on. That's the job of the Congressional Budget Office. So where does the CBO stand on the issue: Can tax cuts pay for themselves? "No, the evidence is that tax cuts do not pay for themselves," CBO director Keith Hall said in response to that question back in the summer of 2015. Hall was chosen by Republicans to head up the respected, nonpartisan agency. At best, tax cuts pay for a fraction of their cost, Goldwein said, citing CBO estimates. How big of a fraction may differ depending on the dynamic model used. The Treasury Department has macroeconomic models that might be used for dynamic scoring, said Mazur, a former assistant secretary for tax policy at Treasury. The Joint Committee on Taxation has a few models, which the CBO will use; and the Tax Foundation and Tax Policy Center each have their own models. They will all differ somewhat on variables such as how the tax cuts will affect hours worked and capital investment, and how much higher deficits will curb economic growth, according to Alan Cole, an economist at the Tax Foundation. But whatever their differences, the outside groups are unlikely to echo what the White House wants to hear: that massive tax cuts can pay for themselves.